No, Harry Potter GO Isn't Really In Development Yet | Nerd Much? With Pokemon Go being as incredibly popular as it is (can we call it a phenomenon yet? ), everyone is already talking about what other franchises would make for great augmented reality games. If you’ve been following that discussion at all on social media or any forums, a Harry Potter Go is the most talked about AR game on many wishlists — ours included. 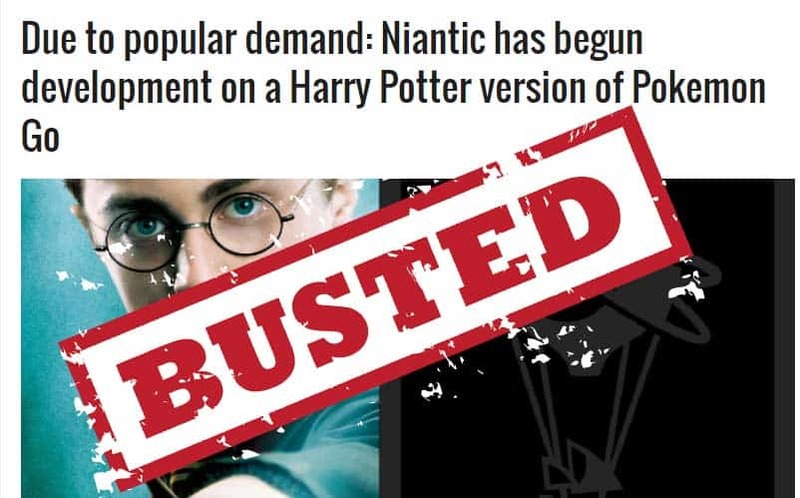 But over the weekend, wishful thinking and excitement have become intertwined with truth, as a site by the name of JTXH News reported that “Niantic has begun development on a Harry Potter version of Pokemon Go“, using an interview that IGN had with senior developer Marcus Figueroa as the source of the news. However, it’s entirely fabricated, and while most ignored it, some much bigger websites are picking up the story without doing a little research beforehand. Normally, I’d ignore such ongoings, but the fact that a Harry Potter GO game has so much interest behind it and people seem to be taking the story as fact, some unfortunate debunking seems only necessary at this point. First, HelloGiggles.com reported it as fact (using JTXH News as a source), followed by NME, Unilad.co.uk, and now numerous other sites. It has clearly spiraled out of control. We’re not placing all of the blame on the writers of those articles, as it’s an honest mistake that can be made by anyone swept up in the excitement of the idea. Hell, we’d love to cheer like Hermione as well. How do we know that Harry Potter GO isn’t really coming? Well, look at the source of the news. Not IGN, of course, as their sources are rock solid and we wouldn’t question their credibility; that’d be ridiculous. But this JTXH News site, who links to an IGN interview that doesn’t exist (the page doesn’t exist, that is). 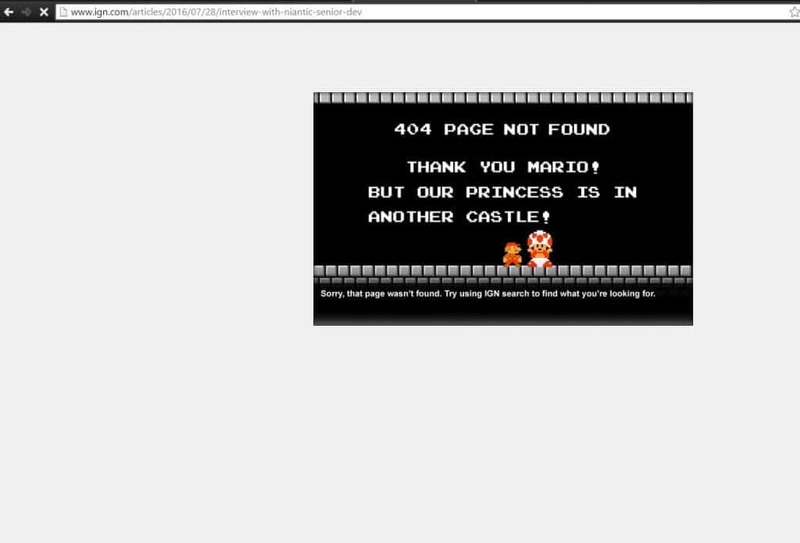 Of course, it could be just a broken link, but the interview doesn’t exist anywhere on IGN’s site, on any search engine, or on YouTube. What’s more, anyone who visits that JTXH News site should quickly be able to determine that it’s not a real site with any journalistic standards, and it seemed to sprout up overnight to simply report this Harry Potter GO breaking news. There are NO other posts on that’s site homepage, and when you go to the homepage, it’s simply just two advertisements floating about. Well, gee, I wonder why that is. Clearly, this JTXH site fabricated the news entirely to get other websites to link to them for ad traffic. Unfortunately, it appears to have worked (and even we couldn’t talk about the site without linking to it for your own inspection). We’ve reached out to Niantic for confirmation that this news is entirely fabricated. We’ll update accordingly once we’ve received any response. Still, help us kill this “news” story by sharing this with your friends on social media and in those Harry Potter groups that are clamoring for the Harry Potter AR game that, as of writing this debunking, isn’t actually in production. The closest thing we have right now is Maguss, which just released their own petition to get the Harry Potter license for an AR game.